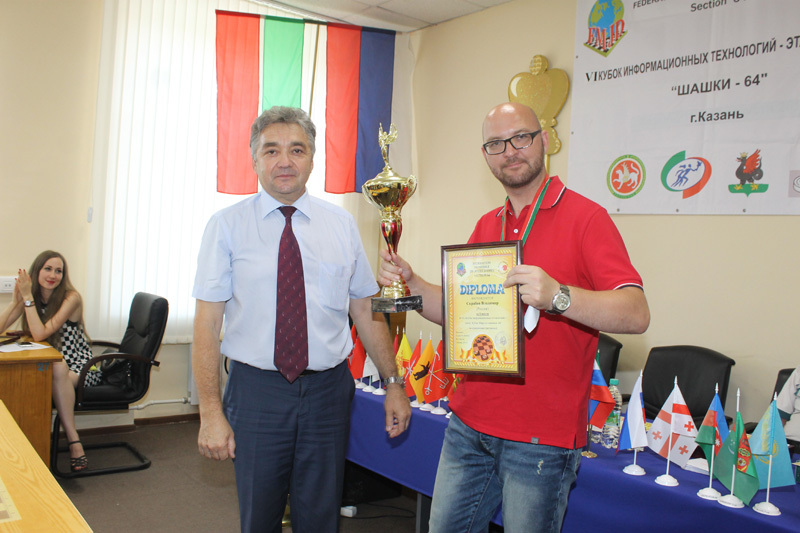 International Draughts Federation IDF – FMJD Section-64 in accordance with the calendar of the competitions in 2014 was held from August 10 (the day of arrival) to August 15, 2014 in Kazan (Russia) 4th Stage of World Cup 2014 in draughts-64 – 6th «Cup of information technology». Egorov Vladimir won. See results. 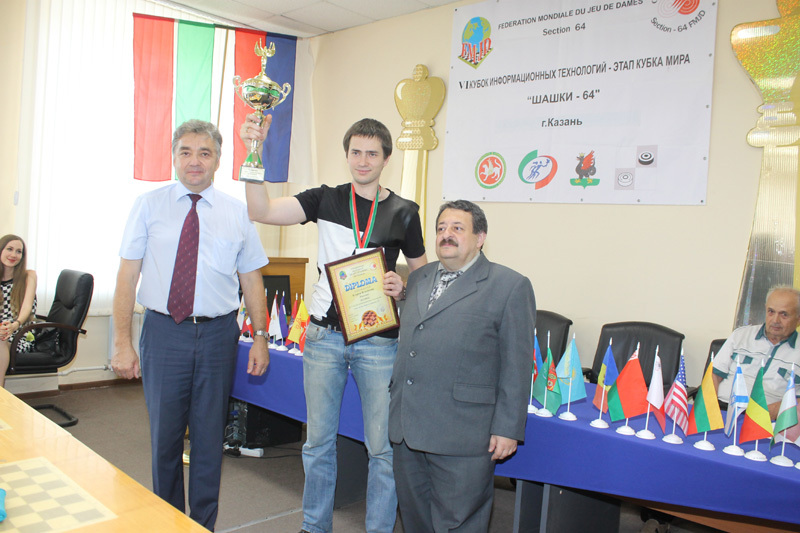 4th Stage of World Cup 2014 in draughts-64 – 6th «Cup of information technology» ended. Egorov Vladimir won. 2nd and 3rd place was defined in additional match between Mirat Zhekeev from Kazakhstan and the organizer of the World Cup Dmitry Tsinman from Kazan. Mirat Zhekeev won the additional match and took 2nd place. Dmitry Tsinman took 3rd place. 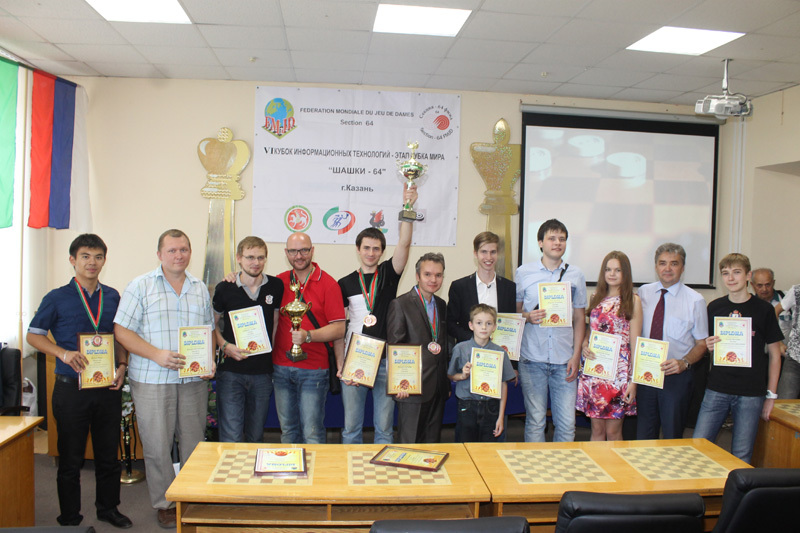 4th Stage of World Cup 2014 in draughts-64 – 6th «Cup of information technology» started. The prize fund is 90,000 rubles. (about 2000 euros). Blitz was held today. Vladimir Skrabov won. Dmitry Tsinman took 2nd place and Vladimir Egorov took 3rd place. Competitions are held from August 10 (the day of arrival) to August 15, 2014 in Kazan (Russia), in “TSSDYUSHSHOR of R.G.Nezhmetdinov” (Butlerova street, 7) – in front of the Kazan State Financial and Economic Institute. Directions: from the bus station by bus number 54, trolley bus number 21; from the train station by bus number 10, 30, 63, trolley bus number 7 to the stop “Tukai area”. R.G.Nezhmetdinov” After that time players who not registered to participate in the tournament are not allowed. Schedule may be changed. Time and date of registration, opening and closing of the tournament is final. The competition is open to all players, regardless of age and rating, with a sport category not less than the first, who paid entry fee and registered. The number of participants representing the country is not limited. Competitions will be held on the Swiss system in 9 rounds according to the Section-64 rules. The draw will be conducted by the computer program. Competitions will be held in the Russian version of draughts-64 by the system of micro-matches consist of 4 games with the draw of the first move of white and black. Time control is 30 minutes till the end of the game + 5 seconds per move for each participant in the classic game and 3 minutes till the end of the game + 1 second per move for each participant in the blitz game. amount. If the protest is rejected the deposit amount is sent to the prize fund. Protests on computerized draw will not be accepted. The decision of the Appeals Committee is final. 1) Delay in the first game of micro-match on 30 minutes or more leads to the total defeat of the micro-match. 2) For the calling a mobile phone or any other electronic signal during the party player loses. 3) Never agree to a draw before the 20th move in the game. 4) Analysis of the party in the playing hall is not permitted. 5) It is strictly forbidden to be in the game room in a state of alcoholic and drugs. 6) In the case of the facts of contractual nature of the game main referee may decide to deduct the defeat to both players. 7) In the event of failure to appear in the game without prior notice to the referee, the participant is eliminated from the tournament. 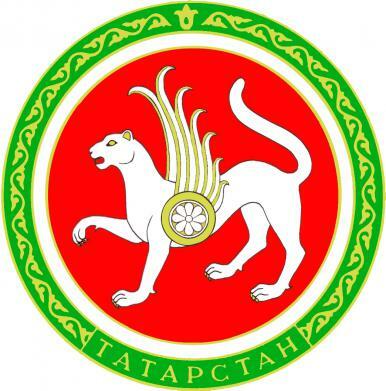 The prize fund is formed from money of the Draughts Federation of the Republic of Tatarstan (not less than 50,000 rubles.) and 50% of the tournament fees. 50% of the tournament fees go to the tournament costs. About the final size of the prize fund and its distribution will be communicated to participants prior to the start of round 2. Requests for accommodation must be submitted to July 25, 2014. After that date the tournament committee does not provide reservation of seats to accommodate the participants. – for the masters of sports, representing RT – 300 rubles. – for candidates of master of sports, representing RT – 600 rubles. – for the 1st category, representing the RT – 1000 rubles. – for international grandmasters – 1200 rubles. – for international masters and masters of FMJD – 1500 rubles. – for national masters of sports – 2000 rubles. – for candidates of master of sports – 2500 rubles. – for the 1st category – 4000 rubles. Tournament fee for all participants in blitz is 300 rubles. – Costs for awards attributes (cups, medals and diplomas). The costs of all other participants (food, accommodation, travel, etc.) paid by the sending organization or themselves.